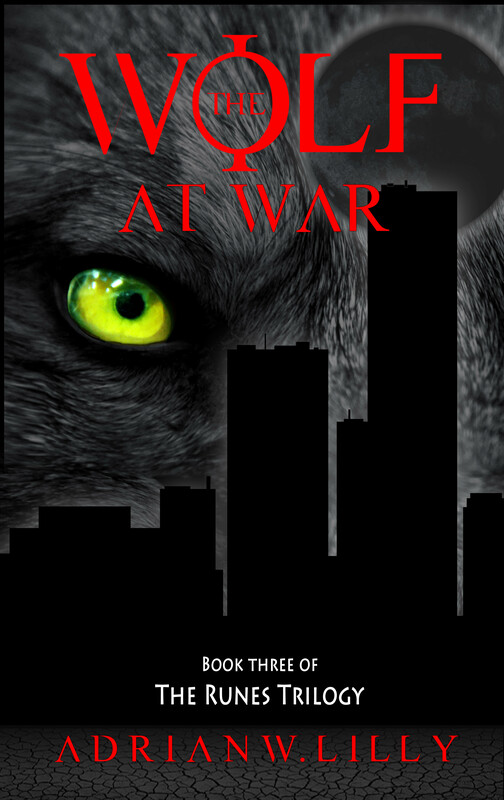 For #WerewolfWednesday, I’m sharing a first look at the cover for the final book in The Runes Trilogy: The Wolf at War. Book Three begins after werewolves launch worldwide terrorists attacks—destroying transportation infrastructure, communications networks, power grids, and leaving the heroes divided. Book Three is due out in December 2014. Learn more about the series here.